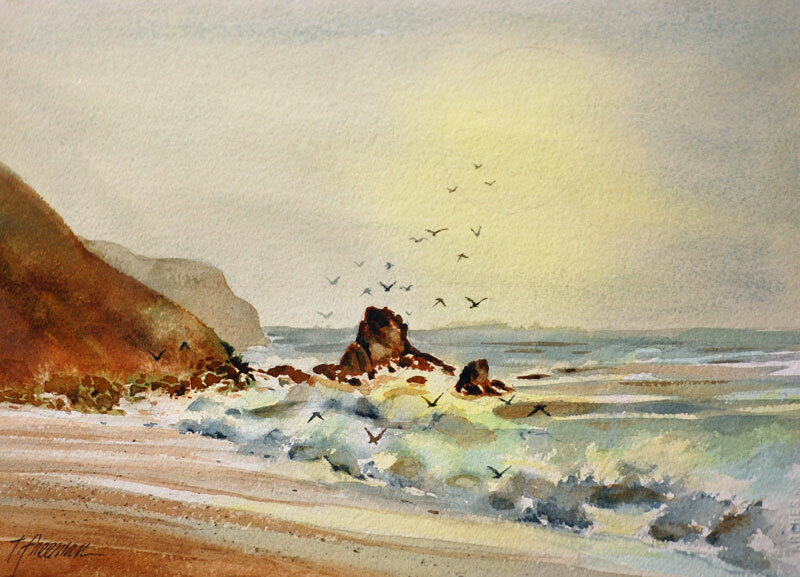 Thomas Freeman Original Watercolor Painting: "Gulls and Surf"
On a sunny, foggy day we were at this windswept area of beach. The gulls would swoop in as the water receded to eat lunch. It was a wild scene and the gulls were excited and noisy. The pale, foggy sun and the noisy surf, and birds, was exhilarating.